Click here for more 2018 Chancellor’s Council Annual Meeting & Symposium pictures. 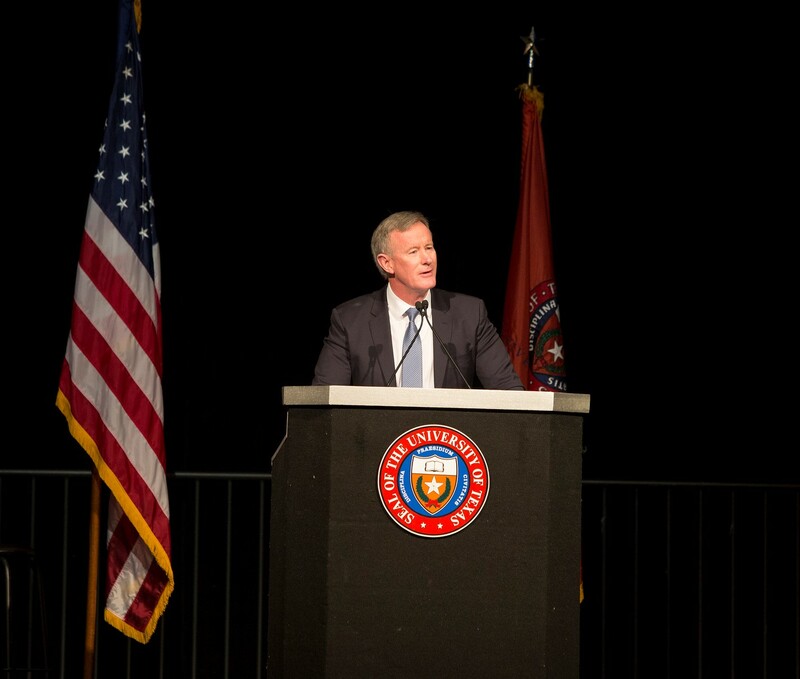 Chancellor William McRaven highlighted the extraordinary contributions of UT institutions and provided a progress report on the UT System’s bold vision for improving lives in Texas and across the globe. "A good education can transform a society. A good education reduces fear, bigotry, racism, and inequality. A good education brings dignity and respect. A good education provides new opportunities and, above all, a good education gives hope and a belief in the future. And, in the end, that is our mission: to transform society and give hope that tomorrow will be a better day." Read the full State of the System. In Texas, the future is now, demographically speaking. As the state changes, so do its students, bringing with them a new set of experiences, strengths and challenges. Their path to—and through—college is often different from students of the past, requiring different ways of defining and achieving student success. Higher education – and specifically the UT System – must respond to these changes and challenges for the good of students and the state. The well-being of Texans and Texas depends on increasing the number of college graduates living and working in the Lone Star state. College-educated Americans earn higher salaries, require fewer public services, and live longer and healthier lives. Furthermore, institutions of higher education foster innovation and drive life-saving and life-changing cures and discoveries. Despite the public and private benefits, many are questioning whether a college degree is worth it. Thanks to an innovative partnership with the U.S. Census Bureau, the UT System is shedding light on the return on investment a UT degree provides. It’s no longer enough to help students become college-ready. Universities must also ensure they are student-ready. While more students are enrolling in college, many leave without a degree because of challenges they were unable to overcome. UT institutions are responding to the challenge by implementing data-driven initiatives focused on three key areas—financial, advising and belonging/engagement— to help all students succeed in college and beyond. 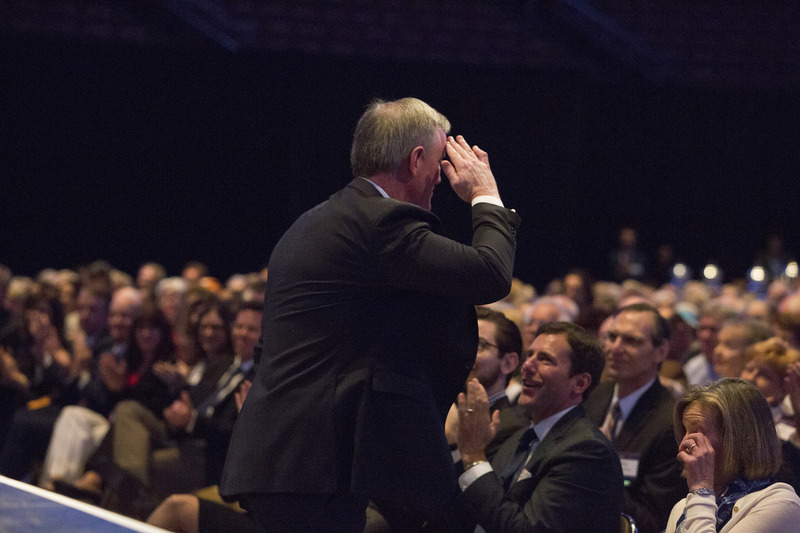 In appreciation and as a tribute to Chancellor William McRaven’s service to the UT System and 14 UT institutions, the Chancellor’s Council created a video to honor the Chancellor’s tenure and leadership. Chancellor's Council members toured the newest addition to The Blanton Museum of Art's permanent collection – a free-standing building that is literally a work of art. The only building designed by Ellsworth Kelly, one of the nation’s most influential post-war artists and sculptors, “Austin” has been called Kelly’s “grandest exploration of pure color and form.” The 2,715 square-foot building has vaulted ceilings, vibrant colored glass windows, a totemic wood sculpture and 14 black-and-white marble panels. Although Kelly died soon after construction began in 2015, his masterpiece achieves his vision as a site for joy and contemplation. Council members experienced what is sure to be the artist's most lasting legacy and the cornerstone of the Blanton's permament collection. Heart disease is the No. 1 killer in Texas and in the U.S., claiming more lives nationally than all forms of cancer combined. Long considered a disease that most affects older men, heart disease is actually the No. 1 cause of death among women as well, but with different warning signs that often go unrecognized until it’s too late. And heart disease affects all ages –about every three days, a young athlete in the U.S. collapses and dies because of an undetected heart problem, prompting calls for more effective screening methods. But there is hope. 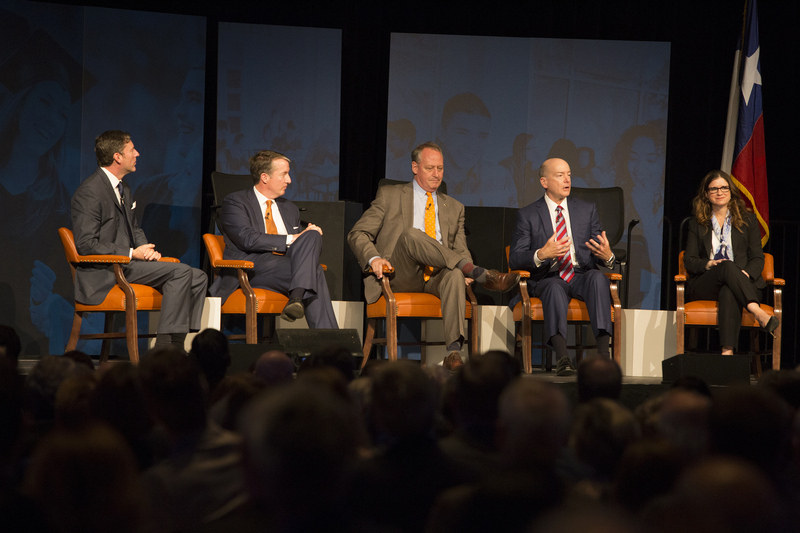 Chancellor's Council members heard from renowned UT cardiologists about the new tests, therapies and research underway to help detect and treat heart disease, and steps to help keep indiviudals and family heart-healthy. The opioid abuse epidemic was recently declared a national public health emergency. More than 300,000 Americans have died of an opioid overdose since 2000 – and it’s getting worse. Case in point: the number of opioid-related deaths quadrupled between 2000 and 2016. In Texas, opioid abuse has resulted in nearly $2 billion in health care costs — the second highest in the nation – and four of the top 25 cities in the U.S. with the worst rates of opioid abuse are in the Lone Star State. Dependence on these powerful pain medications impacts Texans of all ages and income levels, devastating families and communities. 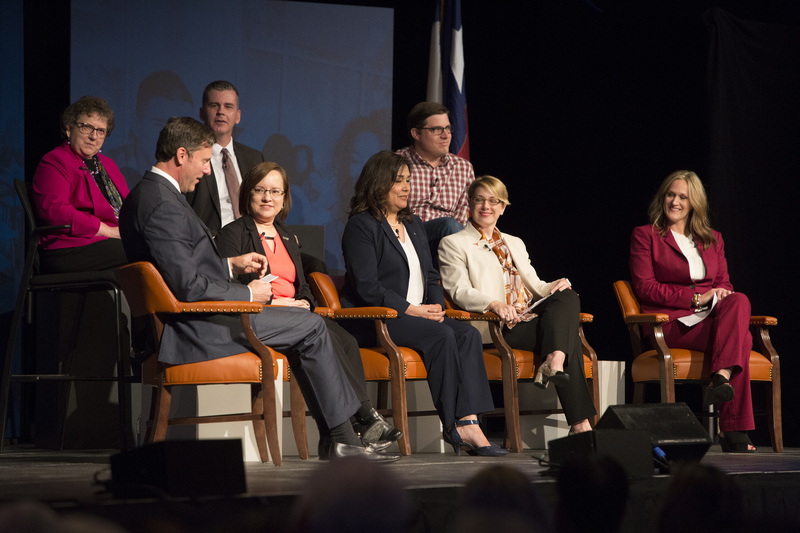 Chancellor's Council members heard from University of Texas and national experts in pharmacology, medicine, science and social work who are waging war on the opioid epidemic with new prevention and treatment options. © 2018 The University of Texas System.